Edible fruits, black when ripe, this Wild Pear is common in the West Kimberley. 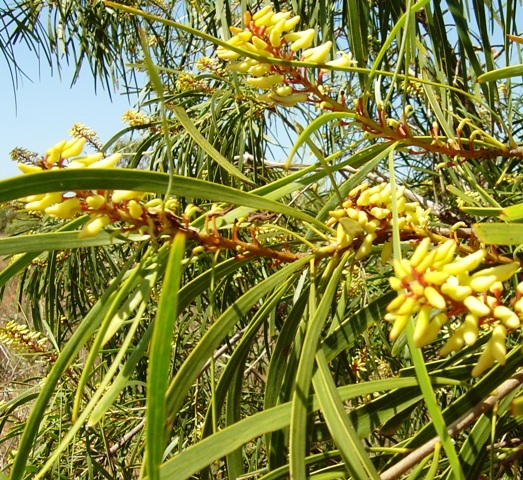 It is a late season flowering and fruiting shrub or small tree, with long narrow leaves and yellow flowers. 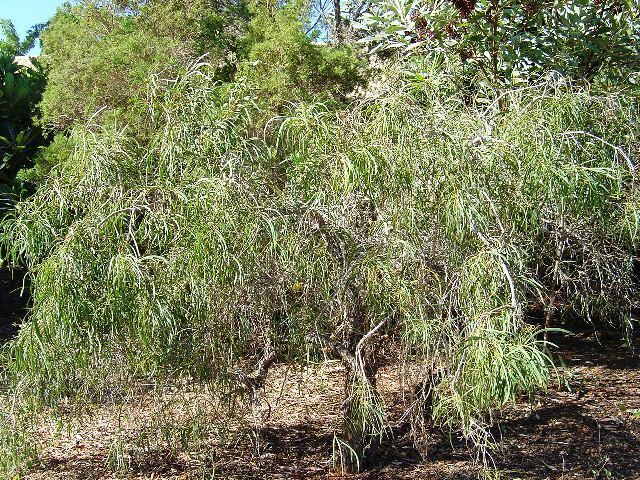 This entry was posted in Persoonia and tagged Persoonia falcata. Bookmark the permalink.